Wholesale Trade Suppliers Overlocking threads ( for looper and needle). Overlocking threads ( for looper and needle). Bulk and Wholesale supplies of needle and looper threads. This site does not currently reflect our full portfolio. Many items can be customised. If you can't find what you want, please email us with details. High Quality m80 bulked-polyester overlocking thread. 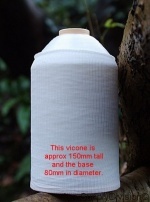 Put-up on 5000m cones(minimum order 5 cones per colour).100 shade core offer. Standard m120 spun polyester industrial sewing thread. Put-up on 5000y/4572m cones(minimum order just 2 cones per shade).100+ shades available! 100% polyester high quality blind-hemming thread : Gral : Put-up on 10000m cones(minimum order 3 cones per colour).26 shades available. Special 60 x 5000y cone BULK-BUY, 5 cones each of 10 shades.Black, Natural White,Red, Pink, Sky blue, Royal Blue, Navy Blue, Silver Grey Bottle Green & Beige. This general purpose, standard m120's spun polyester sewing thread is supplied on 5000y(4572m) cones. High Quality m80 bulked-polyester overlocking thread. Put-up on 5000m cones(minimum order 5 cones per colour).480 shades available! m80 top quality bulked polyester overlocking thread. Put-up on 5000m cones(minimum order 10 cones per colour).430+ shades available! m80 Bulked polyesteoverlocking thread. Put-up on 5000m cones(minimum order 10 cones per colour).430+ shades available! m80 top quality bulked polyester overlocking thread. Put-up on 5000m cones(minimum order 5 cones per colour).430+ shades available! Home > Thread > Overlocking threads ( for looper and needle).